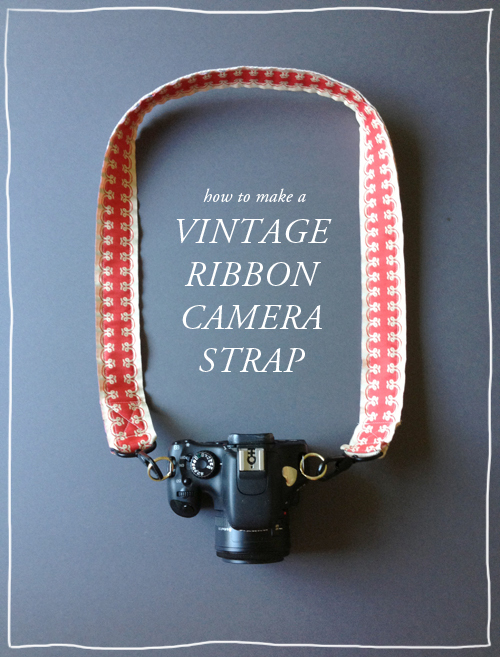 I know, I know…”But you just did a camera strap DIY!” I can hear it now. 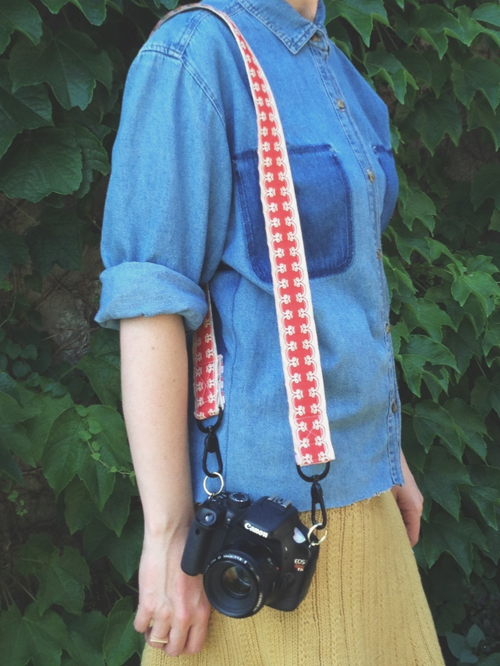 Last month I made a camera strap from a Laura Ashley scarf and it was a hit. I gave the strap to Maurine as a thank you and so I needed one of my own. I have a little thing for ribbon and most of my vintage ribbon is just sitting rolled up on my shelves. I have NO idea what to do with beautiful ribbon. Seriously. Anyone? AND THEN, like lightening, I thought…camera strap! It’s the perfect size, it will get seen and used, and it adds so much to a black hunk of plastic. I bought a few yards of this beautiful ribbon from the Brooklyn Flea when I was there for the Today Show in May, and I’m so glad I found something to do with it.